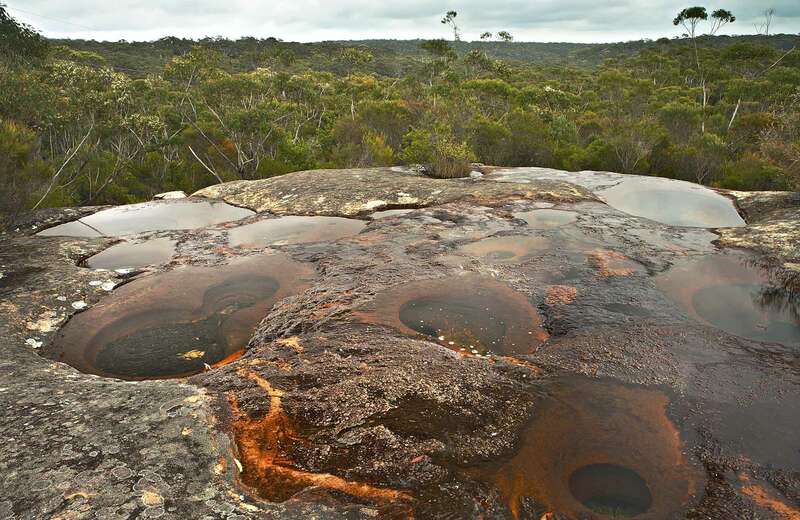 Jingga walking track, in Dharawal National Park, is a short yet challenging walk to a waterhole, offering picnic and birdwatching opportunities. 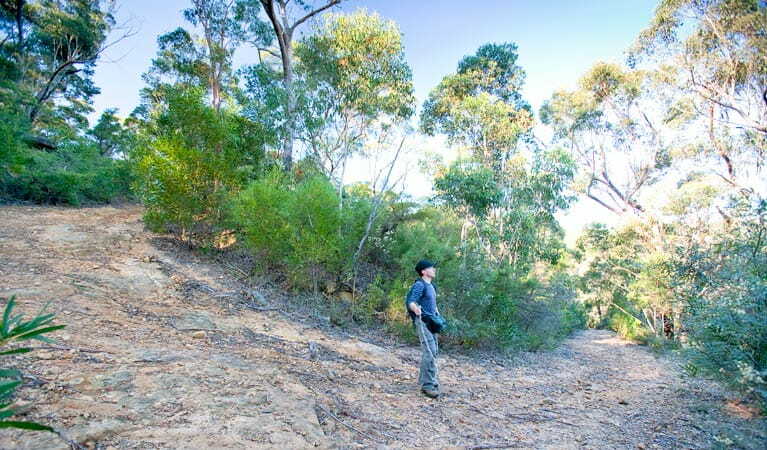 Jingga walking track is open during daylight hours only. 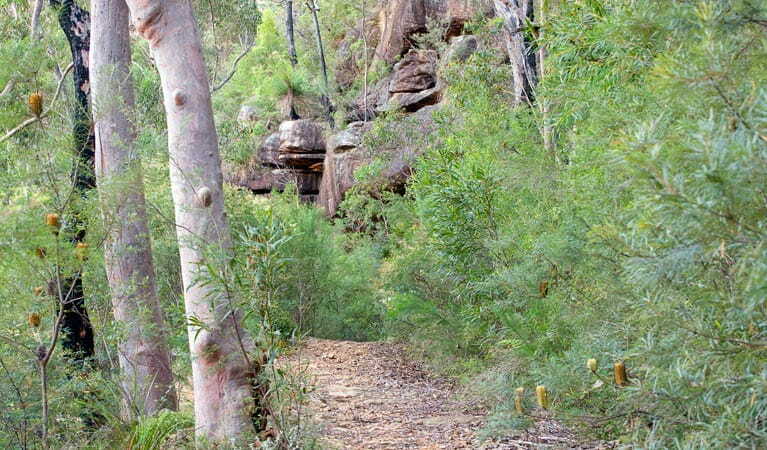 Jingga walking track in Dharawal National Park is a short steep walk through the traditional country of the Aboriginal Dharawal People, a landscape of eucalyptus bushland and dramatic sandstone formations. In the language of the Dharawal, ‘jingga’ means ‘nice and sweet’ in relation to water. 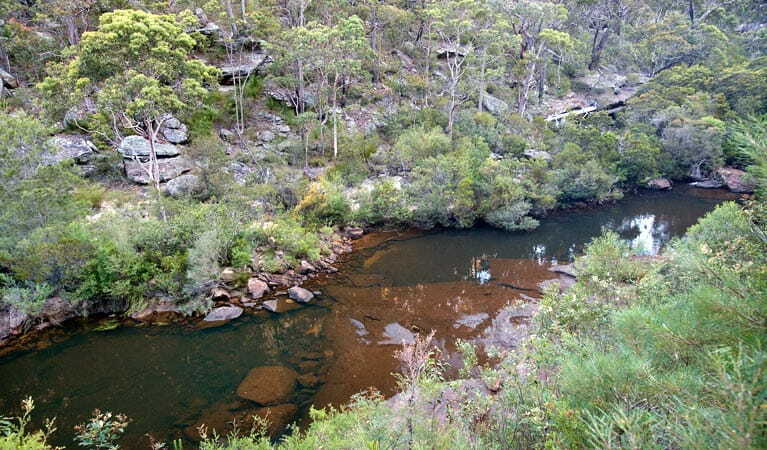 So it stands to reason that at the end of Jingga walking track, you’ll find a beautiful freshwater swimming hole, which is part of O’Hares Creek. If the weather is warm enough, why not take the plunge? 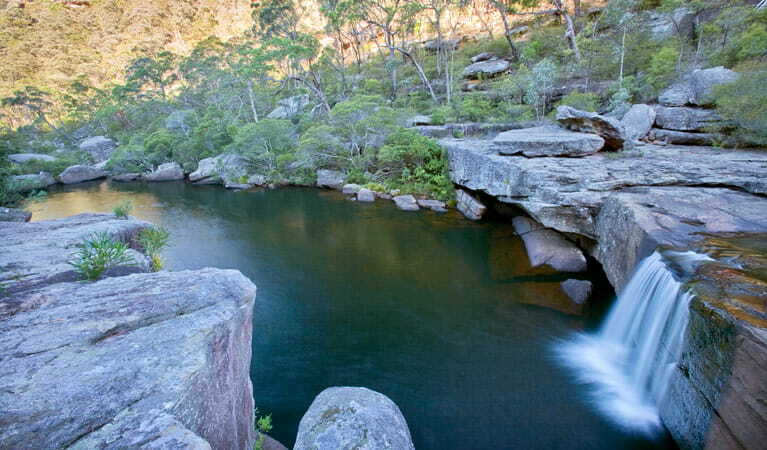 Pack a picnic and spend a few hours beside this large waterhole enjoying the natural setting. Bring along binoculars to get a better look at the birds and other animals of the area, many of which are rare or threatened species, such as long-nosed potoroos. One of the first marsupials to be described by European settlers, the long-nosed potoroo loves to dig up roots to eat. Dharawal National Park is always open but may have to close at times due to poor weather or fire danger.